Our team of professional movers has the expertise, the experience and the equipment to perform relocations throughout Quebec & Ontario, no matter if the destination is a few or many thousands of kilometers from your starting location. Whether it is just a few boxes, a normal local move for a family into their new home, or a huge industrial warehouse, our movers are able to accommodate you. You can choose between economic movers, regular movers or premium movers. 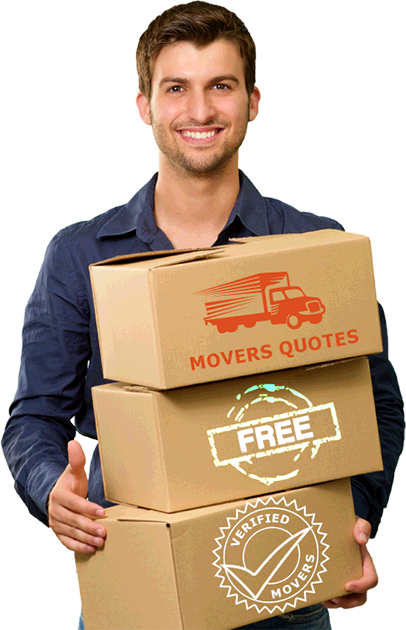 Provide an effective moving experience, without worries, is the 5 Movers Quotes mission. Note that our movers also offer packing and storage service to simplify your moving experience. Movers in Ottawa, Toronto, Ontario and everywhere in Canada and USA offering professional moving service! 5 Movers Quotes, in partnership with different moving companies and various movers in Montreal, Ottawa, Toronto, London, Kitchener and throughout Ontario, Canada and USA offers a professional moving service for both businesses and individuals in Ontario, Canada and the USA. Whether you are in the Greater Montreal area (Laval, Longueuil), Ottawa, Gatineau, Toronto or another city in Canada, 5 Movers Quotes can provide professional movers that are quick, thorough and effective. They are experts in different kind of moving services, be it local or long distance moving, residential moving, commercial, industrial or international moving. "This site allowed me to find a mover for my needs at a good price in Quebec and Montreal"
"Thank you very much for this service, I received bids. I can now make my choice!" "I received four equally professional proposals in Quebec. I'm glad your site." "I received 5 movers bids in Montreal. It was very simple and I would recommend this service"